The Mind and Body Workshop provides innovative interventions for families who have an early diagnosis of Alzheimer’s disease or another memory impairment. The workshop is a 5 session program series for both the caregiver and the recently diagnosed individual to participate, promoting social engagement and peer support, while adjusting to life with a new diagnosis. The workshop series is ongoing, utilizing different topics throughout the year to promote cognitive enhancement, creative expression, movement, community engagement, and overall well-being while living with memory loss. Both caregiver and participant participate in activities together, based on program session focus and topic. Caregivers join in a support group with an education component, and participants continue peer support activities based on the program session topic. Families come back together to socialize over a pizza dinner, to further promote social engagement and peer support. Each series of the Mind and Body Workshop consists of 5 program sessions, each with a different focus. These sessions are outlined below. This session focuses on maintaining a current level of function in cognition, including memory, concentration, and attention. Activities could include brain games, discussions, and learning experiences. This session focuses on engaging in activities that promote creativity and imagination, utilizing self-expression. Activities could include visual arts, music, drama, and creative writing. This session focuses on supporting intellectual, emotional, and motor functions of the body. Activities could include yoga, tai chi, and dance. This session focuses on promoting a sense of purpose and belonging, as well as maintaining involvement in the community. Activities could include volunteerism and intergenerational programs. This session focuses on enhancing well-being and connectedness with self. Activities could include journaling, meditation, and memoir writing. Registration is required; there is a short application and assessment process for the program to ensure a good fit for both the caregiver and early stage participant. 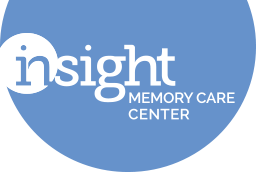 Please contact Lindsey Vajpeyi at 703-204-4664, or lindsey.vajpeyi@insightmcc.org. Cost for each workshop series of 5 sessions is $200 per couple.